Beautiful natural-stone house for eight people with furnishings that are typical of the region, and a lake view in Normandy. Normandy | Would you like to know which holiday home or apartment is particularly worth spending a holiday in? 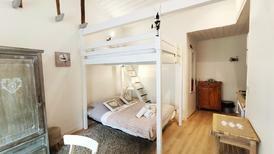 Here we'll show you the accommodation in the Normandy, which has received the best reviews from our customers. 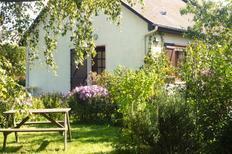 A holiday house in Normandy costs on average GBP 562 in the cheap travel period and GBP 984 in the peak season per week. These details are of course in relation to the house and not per person as well as includes the obligatory additional charges. 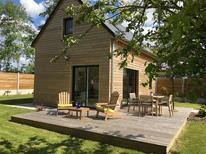 atraveo has more than 660 holiday houses and more than 450 holiday apartments on offer in Normandy. The region in the north of France particularly lures with its mild climate and fresh sea air, a pleasant warmth in the summer and and fresh breeze from the sea. Along the coast in the departements Seine-Maritime, Calvados and Manche you will find long fine sandy beaches and lovely hinterland with millions of apple trees. During spring the white blossoms dominate the landscape and that is replaced by red apples in the summer. Further inside you will find the departements Eure und Orne. Lovely neighbouring regions of the Normandy include Brittany, Picardie and Loire Valley. 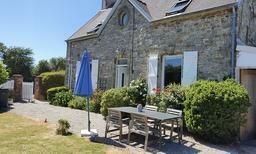 The holiday home offer of atraveo in Normandy is quite diverse. There is the option of choosing to spend your vacation in a detached individual holiday house or going for a holiday complex that provides an array of amenities. 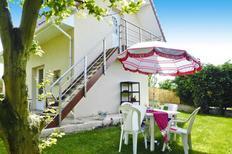 You can spend your holiday for example in a French country house or a rustic stone house. Or you can book a holiday apartment on a picturesque horse ranch and discover the splendid Norman landscape on a comfortable ride on a horse. 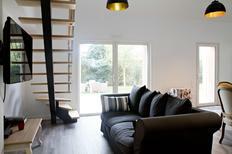 Maybe you prefer a holiday apartment in a seaside resort at the coast. atraveo has both holiday complexes directly at the beach or holiday complexes with romantic chalets and a small stream on offer. In Normandy you can find lovely beaches that are long and fine sandy only occasionally interrupted by the odd spectacular rock formations which are mighty steep cliffs that drop down towards the ocean. 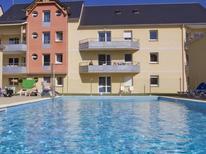 The beach strips near Deauville, Cabourg, Trouville and Quineville are well known. The beach of Quineville is due to its width ideal for windsurfing and kite surfing. The renowned Omaha Beach at Saint-Laurent-sur-Mer and Colleville is today a popular bathing beach with a very historical significance as it was one of the beaches where the Allied troops landed on the 6th July 1944 on so called “D-Day”. In Caen there is the famous Mémorial de Caen which is a museum about the history of the 20th century where you can learn everything about “D-Day”. Furthermore in Saint-Laurent-sur-Mer there is the Musée Mémorial d'Omaha Beach. The shingle beach of Étretat attracts many visitors in the summer as it is shielded by the high surrounding cliffsArtists such as Claude Monet and Gustave Courbet made painting of these impressive cliffs. Two natural arches made of stone, Porte d’Aval and Manneporte as well as the 70 metre high rocky pinnacle Aiguille form a lovely ensemble. In Normandy next to the beaches and beautiful nature particularly interesting coastal towns and many medieval constructions are an attraction which lure. The monastery rock Mont Saint Michel is especially famous. 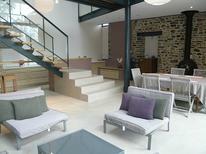 It is situated on the border with Brittany near Avranches and is one of the most impressive places in France. Just standing before the forty metre high rocky island with its small town and big monastery complex is an attraction itself. Simply walk across during low tide and visit the place and monastery complex. Abbey church and Gothic cloister as well as the relic of the archangel Michael are worth seeing which drew pilgrim thousands of years ago to this place. Art lovers and garden experts will not miss out visiting the Fondation Claude Monet in Giverny. Monet personally created this garden around his former house and then made use of it as a motive for his paintings including the famous water lilies. 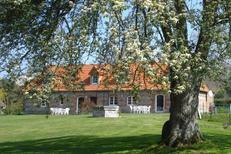 You can visit the garden as well as the dwelling house of the famous painter. Who should you be interested in art and history then why not consider having a look at the famous wall carpet of Bayeux. This about 60 metre long embroidered carpet shows the campaign Wilhelm of the conqueror to England in an impressive iconography and is regarded as one of the most important documents of early medieval art. The city of Le Havre is known above all for its coloured concrete structures made by the architect Auguste Perret and is now part of UNESCO World Heritage. The Finnish director Aki Kaurismäki was able to perfectly capture the pleasant atmosphere of the French port in his film "Le Havre". Also worth a day trip is Rouen which is known for the more than 2,000 preserved half-timbered houses and basilica as well as cathedral. The Norman cuisine is particularly famous for its calvados. The golden apple brandy from the meadows of Normandy is more popular here than classic wine and is regarded as the "national drink" of the region. It is also very much appreciated across France and often drunk between two courses. Cider is an basic ingredient to be found in many Norman kitchen. It is not only a popular drink but is also used for cooking. The Sauce Normande for example is used in Normandy with fish as well meat dishes. It is spicy and mainly refined with cider. The real Camembert is called “Camembert de Normandy” and is another Norman specialty. Whilst the term Camembert is not protected with “Camembert de Normandy” you are buying an original cheese made from a French original recipe. They can purchase anywhere in Normandy directly from a local organic shops fresh produce such as cheese, calvados or the popular meat of Charolais cattle.